Value In Action – Myanmar 28 Oct to 3 Nov.
On 28th November, 23 from V3 and V4, together with 5 teachers, embark on their VIA trip to Myanmar. The objectives of this trip are for students to put the values they learnt such as perseverance, responsibility, compassion and independence into action. It is also to give them an opportunity to give back to community and also to experience what is it like to live without modern technology. 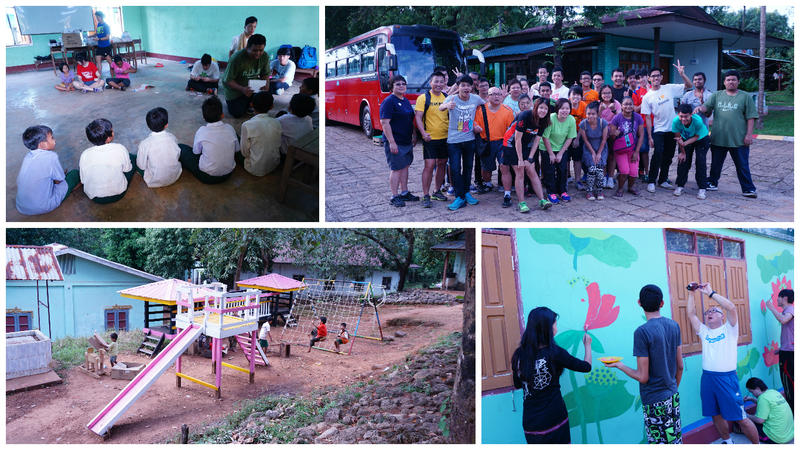 The students spent most of their time in Seik Phu Taung Youth Development Centre. The Centre houses around 600 children and youths, which comprises of orphans and those who live far away from their parents. The students were grouped and put in charge of different activities. PE and Sports group teach the children sports such as Frisbee and badminton, as well as the repair and painting works in the playground area. They also rebuilt a climbing rope structure for the children and added 2 more features to the playground. The children were very happy as new life was breathed into the playground and our Metta students felt that their hard work under the blazing hot sun was worth it!! Canvas Painting group provided opportunities for our Metta students to teach the children there to paint scenic pictures on canvas using acrylic paint. They had a lot of fun interacting with each other. The results were canvases of beautiful paintings. 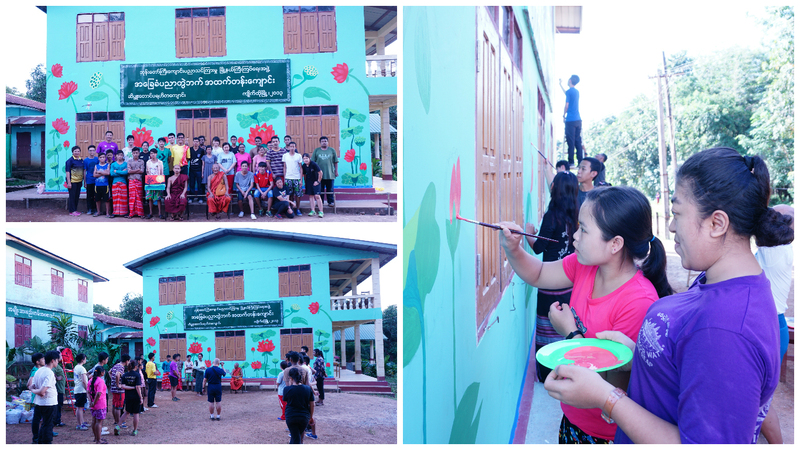 Mural painting group endured hours of standing under the hot sun to paint the mural wall outside the classrooms, thus beatifying the drab walls with life-like picture of a pond. They bonded well as a group. Everyone was in awe of the mural. English group brought a lot of fun and laughter, as well as knowledge to the children in the centre. 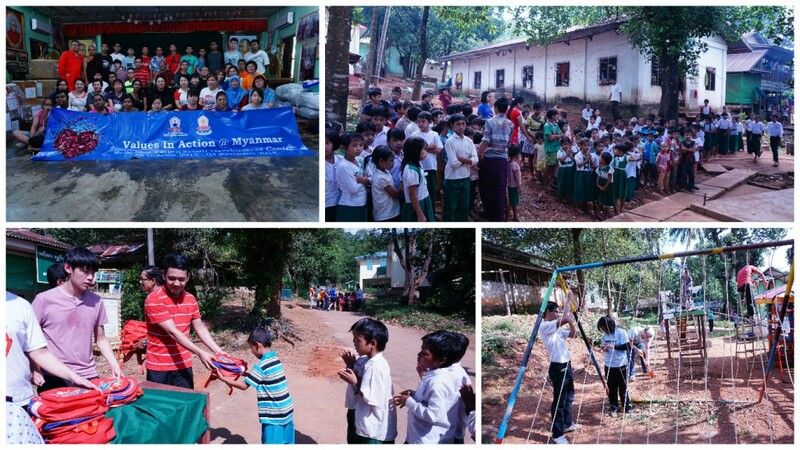 Our Metta students taught them alphabets, spelling, songs and games related to what was taught. It was wonderful hearing them repeatedly singing the song ‘London Bridge is falling down’ which appears to be their favourite song amongst those that were taught. Our students also had the opportunity to visit the local market and purchase things for the goodie bags. It was a new experience for some and they enjoyed marketing in the streets of Myanmar. We organised a grand party we organised for about 200 children. Metta students organised games and prepared goodie bags which include stationeries, food and toys. Our students enjoyed playing with the children there. One of the biggest smiles came at the end when the children were each given a balloon sculptures done by our Metta Students. After this trip, I want to be a more hardworking person. kids. If there is another chance of coming to Myanmar, I will definitely come again! active, happy and having fun. The most challenging moment was to get their attention. Luckily we have our tour guide to help us translate. paint; I feel excited and fun because the kids encouraged me to be happy. To conclude, our Metta students had fun despite the tiring days working. They are more appreciative of what they are blessed with in Singapore and the people around them. It was an experience they will never forget!